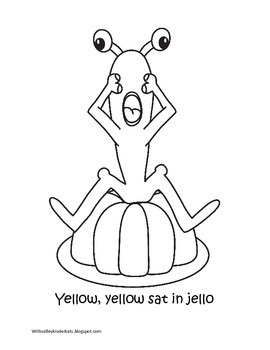 This is a coloring book that help kids learn their 8 basic colors with a silly rhyme for each color. I have an old set of Color Monsters and haven't found an updated set anywhere, so I created one for myself....and thought I'd share. 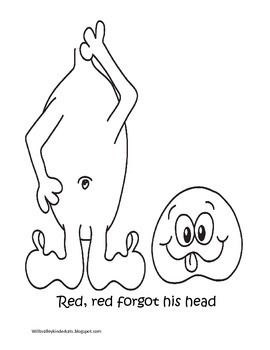 Some of the Color Monsters are: Red, red forgot his head; yellow, yellow sat in jello; blue, blue got the flu....and so on. Enjoy! 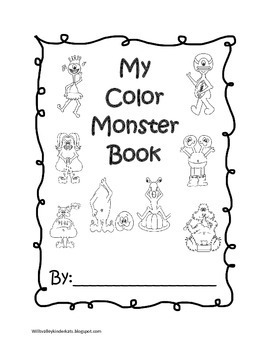 Check out my TPT store for the Color Monsters full color posters to display in the classroom!